নিচের স্টেপ গুলো খুব মনযোগ সহকারে খেয়াল করুন! My website https://www.domain.com is perfectly safe and has been around since 2017. 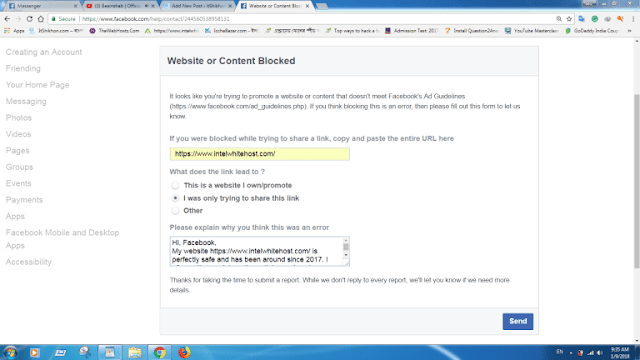 I often write very interesting articles and post my website links on my Facebook page Unfortunately, it seems that the high traffic to my website from Facebook raised a warning flag in your system and labelled my website as UNSAFE It is very irritating to key in the security code, and even when l keep my website article l have to double confirm it (see attached). 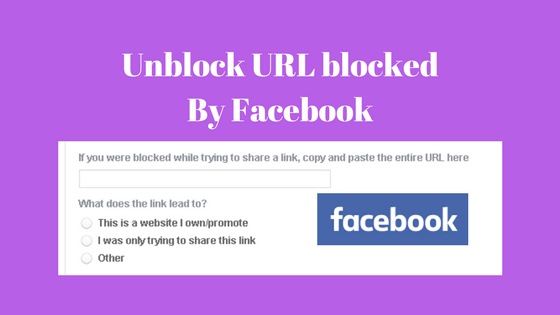 When my fans click to go to my link, you warn them to only follow links that they trust, as if my website has malicious content l tried to inform you several times on your feedback but to no avail, so l am now writing an email and hope it can be fixed. 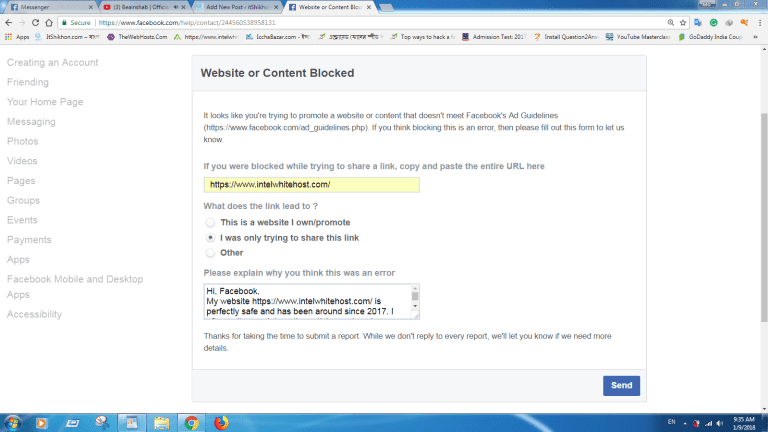 It is ridiculous how you punish creators like us who had been producing good original contents on FB. You need to learn from Google how they reward content creators instead.